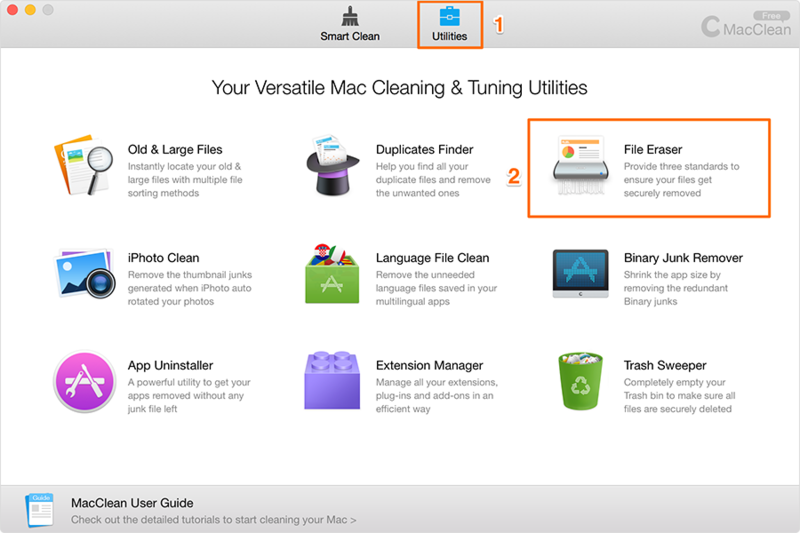 Most of users are agree that putting a file into Trash bin and emptying it is secure enough. However, these deleted files are very vulnerable due to the threat from data recovery software. 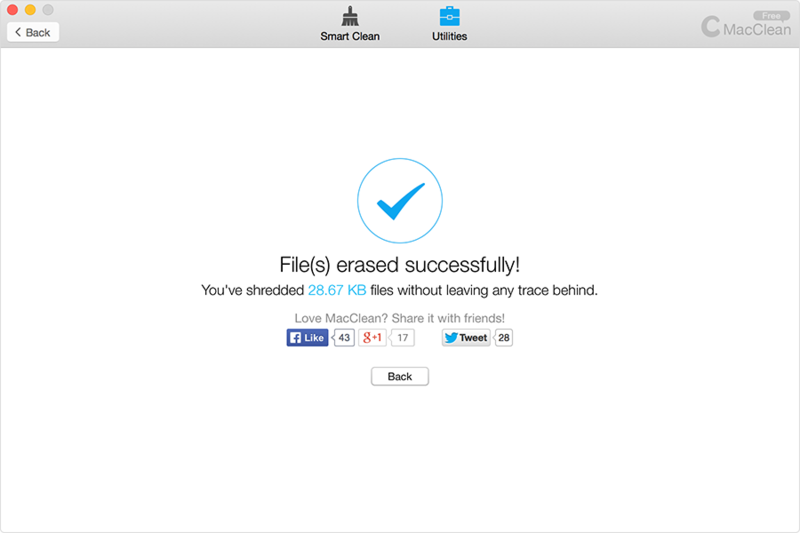 MacClean provides 3 erasure standards to erase your files or folders much more securely. The security level goes up from Standard Erase to Safe Erase to Top Security Erase. 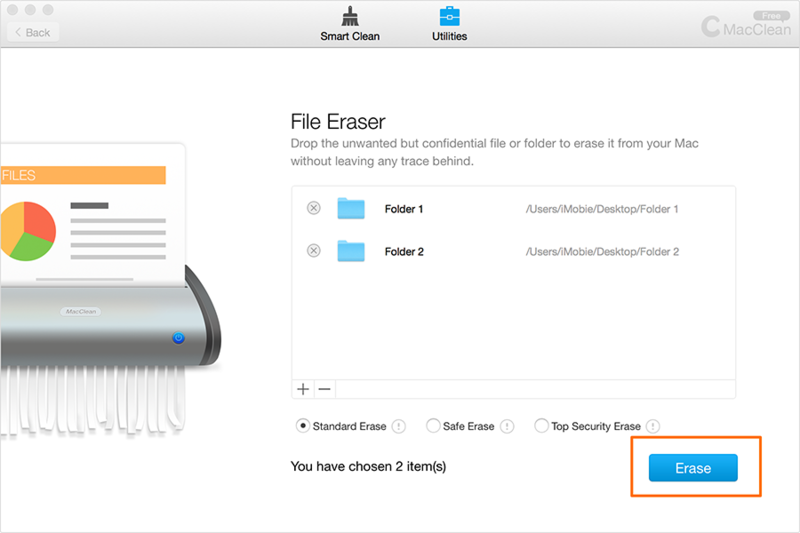 After the file and erase mode selection finish, you can click Erase to start the cleaning.